Retail Bonus Customer Cash (13488). Consumers will receive Retail Bonus Customer Cash on select new vehicles. Take new retail delivery from dealer stock by 07/01/19. Residency restrictions apply. See dealer for qualifications and complete details. Ford Credit Retail Bonus Customer Cash (13486). Not all buyers will qualify for Ford Credit financing. Eligible buyers will receive Ford Credit Retail Bonus Customer Cash on select new vehicles. Take new retail delivery from dealer stock by 07/01/19. Residency restrictions apply. See dealer for qualifications and complete details. Select Inventory 84 Month APR APR Financing (#21012). Not all buyers will will qualify for Ford Credit limited-term financing. Take new retail delivery from dealer stock by 7/01/19. See dealer for qualifications and details. 84 Month APR Financing APR Financing (#21034). Not all buyers will will qualify for Ford Credit limited-term financing. Take new retail delivery from dealer stock by 7/01/19. See dealer for qualifications and details. 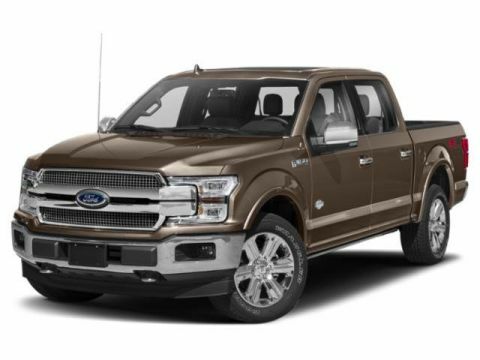 Retail Owner Loyalty - Customers who currently Own a 1995 or newer Ford or Mercury Motor Company Car, SUV or Light Truck up to F-550 ARE eligible for the Owner Loyalty incentive. - Customers who currently Own a Lincoln Motor Company Car, SUV or Light Duty Truck are NOT eligible for the Owner Loyalty incentive. - Customer must have Owned the Eligible Vehicle for a minimum of 30 days prior to the sale date of the new VIN. - Customer does NOT have to be the original owner to be eligible for the incentive. - Customer does NOT have to trade in their eligible vehicle. - This offer can be "Transferable within household (same address), from Business to Business Owner and from Business Owner to Business." Retail Owner Loyalty (37174). Proof of ownership of 1995 model year or newer Ford, Mecury vehicle required. Trade-in not required. Residency restrictions apply. Take new retail delivery from dealer stock by 04/30/19. See dealer for complete details and qualifications. $861.46 per month for 24 months. $4,930.32 due at lease signing. Excludes registration, tax, title and license. RCL Factors Special RCL Lease Factors through Ford Credit. Subject to credit approval. Not all buyers will qualify for the lowest rate. $724.84 per month for 36 months. $5,596.58 due at lease signing. Excludes registration, tax, title and license. $712.90 per month for 39 months. $5,863.09 due at lease signing. Excludes registration, tax, title and license. $742.06 per month for 48 months. $6,529.35 due at lease signing. Excludes registration, tax, title and license. Listed Incentives are available for registrations at Baxter Ford located in Omaha, NE. Information Provided by Automotive Information Systems, Inc: Information is Reliable but not guaranteed. Finance Offers (APR) are available to qualified buyers subject to Credit Approval, not all buyers will qualify.